Parking entrance is across from Brace Road. Dr. Strathearn's office is on the building's first floor. Please enter building through North Main Street entrance. Once you enter the hallway, the office is on your right. Or, park in lot behind Bank of America on Farmington Avenue and enter through the back entrance to #12. Imagine a place where your every need is anticipated; where you can be truly comfortable. Imagine someone listening and responding to your questions and concerns, making your dreams of a beautiful smile come true. Imagine being treated like a family member. If you can imagine that type of care in a dental office, we'd love to introduce ourselves. 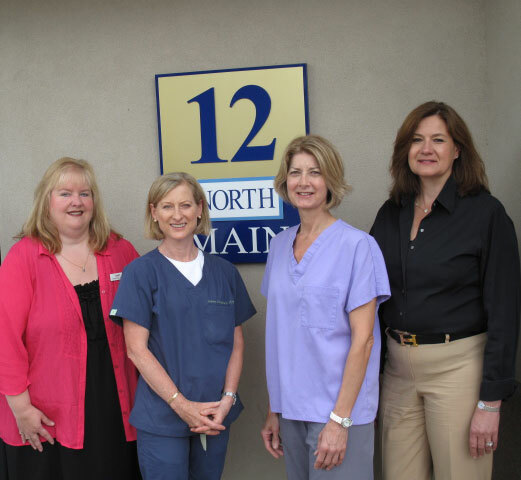 We're the professional team of North Main Dental. If you've never visited us before, we're located just off Blue Back Square in beautiful West Hartford Center. We're easy to find, and we're excited to meet you. If you can imagine a better dental experience, we're ready to make your dreams reality. In short, we're out to change your idea of what a dental office is like; won't you call us today to see the difference for yourself?